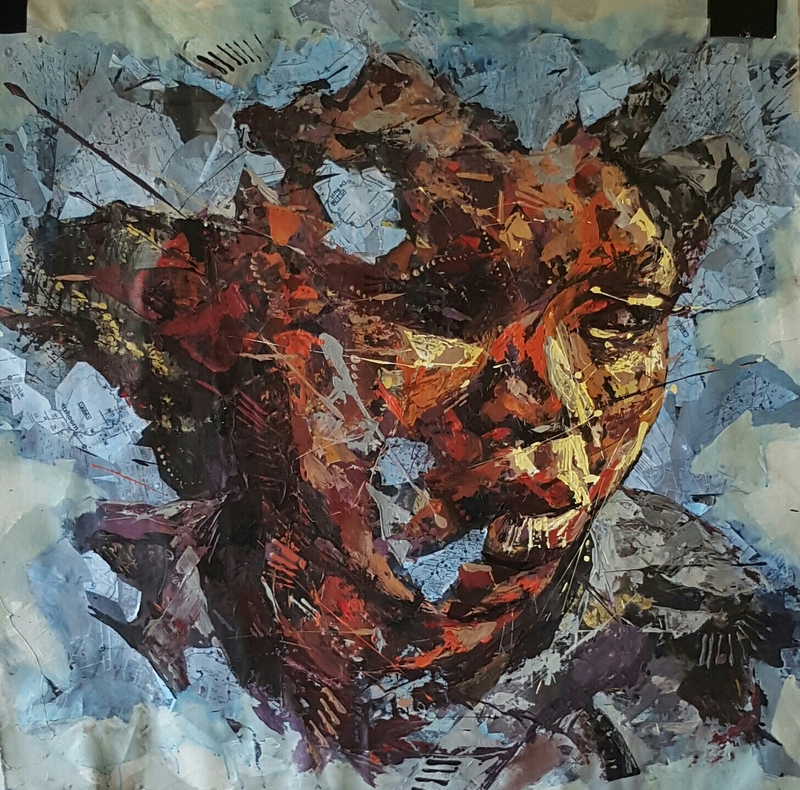 The portrait of Nompumelelo Vuyiswa Tshabalala was inspired by a walk around the Heads in Knysna. The title is therefore “The Heads”. If one looks at the picture Mbongeni Fakudze published that day on Instagram and Facebook , it makes total sense. 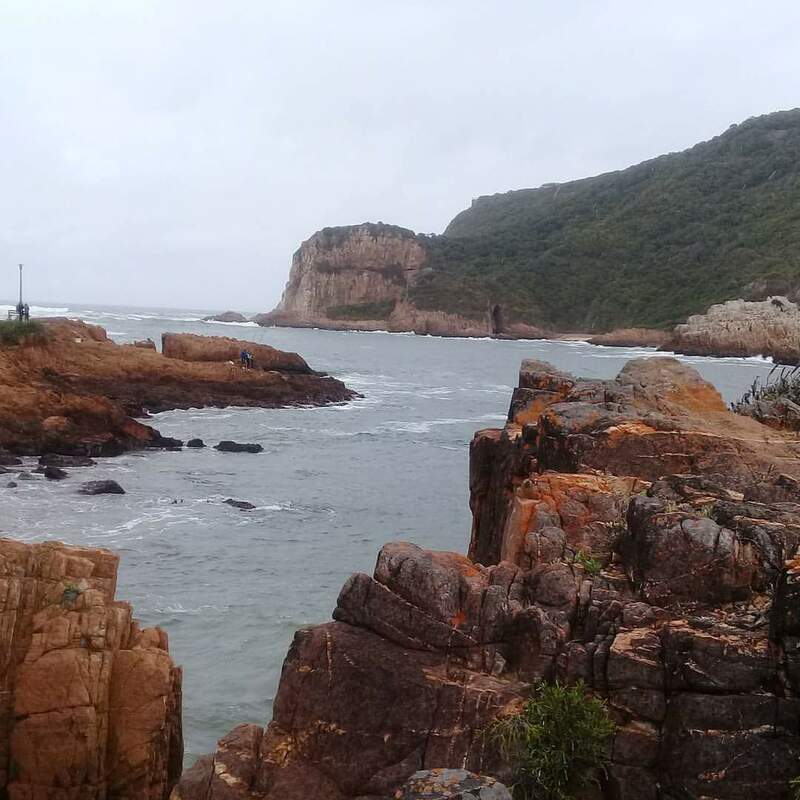 The portrait of Nompumelelo has been fertilised by their sights in this magical place where earth and water meet. Furthermore this is the exact meeting place where the gentle waters of the lagoon are supposed to suddenly be engulfed by the rhythmic sustainability of the tides. The rocks, just like simple vigils, keep an eye on the choreography. They might be called to the universal court as the witnesses of this ritual’s punctuality. The portrait contains undoubtedly some of the energy generated by the moon’s dance. Thank you Mbongeni. Welcome in the SAFFCA Collection. ..